Welcome to the IPSC Online Store. Here you can purchase gift items for yourself, your friends or family that will help support the work of the Ireland-Palestine Solidarity Campaign. You can now order items with PAYPAL using just your credit or debit card. If you don’t want to pay online, to purchase any of the items please print out the Order Form and return it with a cheque/postal order/bank draft to the following address: IPSC, 35 North Lotts, D01 A3E0, Dublin 1, Ireland. Cheques should be made payable to made payable to ‘Ireland Palestine Solidarity Campaign’. Note: Before filling in the Order form, please make sure you check the item’s stock status below. Please note that all prices are in Euro (€) and include the cost of Postage and Packaging, and all money goes to fund the activities of the Ireland-Palestine Solidarity Campaign – a non-profit organisation that campaigns for the inalienable rights of the Palestinian people as enshrined in international law. What better way than to show your support for Palestine than while protecting yourself from the elements! 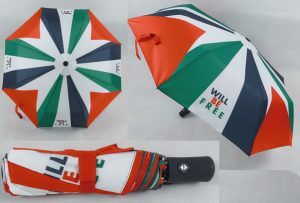 Get the year’s must have accessory, the ‘Will Be Free’ fold-up Palestine Umbrella. See off the Winter’s weather with this gorgeous umbrella, featuring the Palestinian flag. The umbrella is 107cm (42in) in diameter, and boasts an automatic button-operated pop-up and collapse function. The fold down to an easily portable handbag size, and come with a protective fabric cover. These umbrellas would make ideal stocking fillers at Christmas, but of course, this being Ireland, you always needs to be prepared for the rain. If you can't pay with PayPal, here is our order form for cheques & postal orders. These quality Palestinian flags are 5ft x 3ft in size. Ideal for bringing along to demonstrations, or just hanging on your wall. 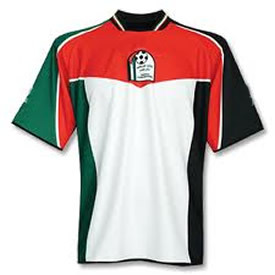 The IPSC is proud to be the only Irish distributor of the famous and much sought after Palestinian football jerseys. Please see below for asizes – all sizes are mens’ sizes. 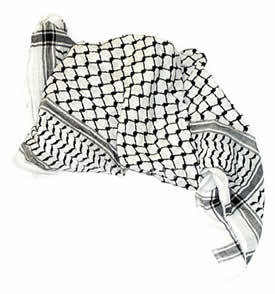 Traditionally worn by Palestinian peasants, the keffiyeh became a symbol of Palestinian nationalism during the Arab Revolt of the 1930s. Its prominence increased in the 1960s with the beginning of the Palestinian resistance movement, and in the late 1980s it became a potent symbol of resistance during the First Intifada. 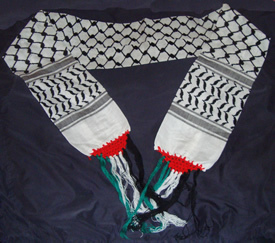 These keffiyehs were made in the last keffiyeh factory in Palestine, the Hirbawi Textile Factory, located in Hebron (Al-Khalil), and are available in both black and white and red and white patterns. Watch an Al Jazeera documentary about the the Hirbawi factory by clicking here. Show your support for freedom and justice in Palestine with one of these attractive vinyl window stickers. They’ll look great in your vehicle, house or even shop window. 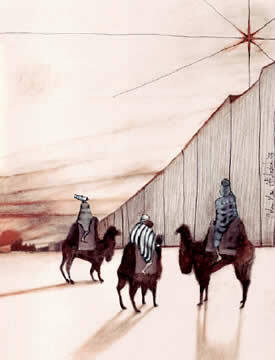 Imagine the bewilderment of the three wise men if they tried to bring their gifts to Bethlehem today. Their path would be blocked by Israel’s Apartheid Wall and it’s doubtful if they would be allowed through the checkpoints. On the right is a simple greeting in Irish and English: Nollaig Shona / Happy Christmas. Each pack contains ten cards. The cards are A6 size, printed on high-quality card, with envelopes included. These beautiful neck scarves sporting the Palestinian colours along with a traditional Palestinian keffiyeh pattern were made in a Palestinian refugee camp in Jordan. Always wear your Irish solidarity with Palestine with pride by sporting this beautiful enamel pin badge. Size 25mm x 12mm. 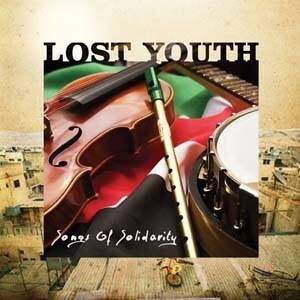 ‘Lost Youth – Songs of Solidarity’ was originally a benefit CD for a young Palestinian theatre performer imprisoned by Israel in 2005. Proceeds from the CD now go to the Ireland-Palestine Solidarity Campaign to help fund our work. 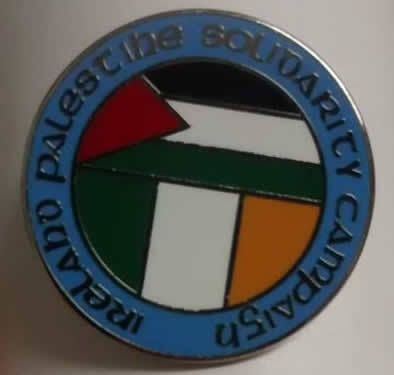 Always wear your Irish solidarity with Palestine with pride by sporting this beautiful enamel Ireland-Palestine Solidarity Campaign pin badge. Size 25mm x 25mm. Stock Status: OUT OF STOCK, and won’t be back before Christmas 2018, sorry. E-mail us at info [at] ipsc.ie and we'll tell you when it comes back in. 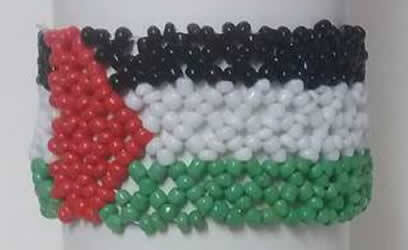 Wear your solidarity with the Palestinian people on your sleeve with these beautiful elasticated bead bracelets in the colours of the Palestinian flag. 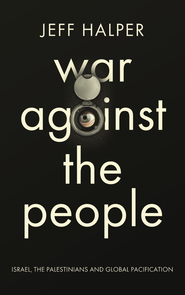 War Against the People (Pluto, 2015) is a disturbing insight into the new ways world powers such as the US, Israel, Britain and China forge war today. It is a subliminal war of surveillance and whitewashed terror, conducted through new, high-tech military apparatuses, designed and first used in Israel against the Palestinian population. Including hidden camera systems, sophisticated sensors, information databases on civilian activity, automated targeting systems and, in some cases, unmanned drones, it is used to control the very people the nation’s leaders profess to serve. Jeff Halper is the head of the Israeli Committee Against House Demolitions (ICAHD). He is the author of Between Redemption and Revival: The Jewish Yishuv in Jerusalem in the Nineteenth Century (Westview, 1991), An Israeli in Palestine (Pluto, 2008) and Obstacles to Peace (ICAHD, Fifth Edition, 2013). 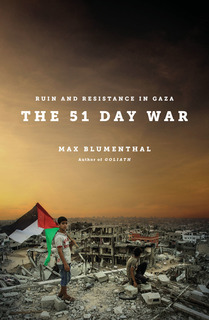 Best-selling author Max Blumenthal reports on Israel’s brutal assault on Gaza in July 2014 in The 51 Day War (Verso, 2015). The Israeli occupation of the Palestinian territories since 1967 has many important economic aspects that are often overlooked. In this highly original book, Israeli political economist Shir Hever shows that understanding the economic dimensions of the occupation is crucial to unravelling the Israeli-Palestinian conflict. Dr. Shir Hever is an independent economic researcher and journalist. He writes articles and research for various outlets and lectures in political and academic venues. He also reports for the Real News Network. Dr. Hever’s research interests include the economic aspects of the Israeli occupation of the Palestinian territory, international aid to the Palestinians and to Israel, the boycott, divestment and sanctions (BDS) campaigns against Israel, and the Israeli arms trade and security sector. From 1994-2014, Israel’s security service transformed and became one of the most extreme examples of privatized security in the world. 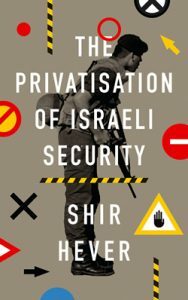 The Privatisation of Israeli Security provides a comprehensive overview of this period and the socioeconomic conditions that enabled it. Shir Hever considers the impact of the ongoing crisis of Palestinian resistance to Israeli occupation, the influence of US military aid, and the effect of neoliberalism on state apparatus in order to make sense of this dramatic change in security policy. Through his revealing study, Hever shows how the structural violence of the neoliberal economy is self-perpetuating, providing a fresh perspective on the Israeli occupation for students, activists, and journalists alike. The 80th anniversary of the fascist bombing of the Basque town of Gernika, immortalised in the painting by Pablo Picasso, was marked in Dublin in April 2017 during a series of events in Dublin organised by the Gernika 80 Committee. 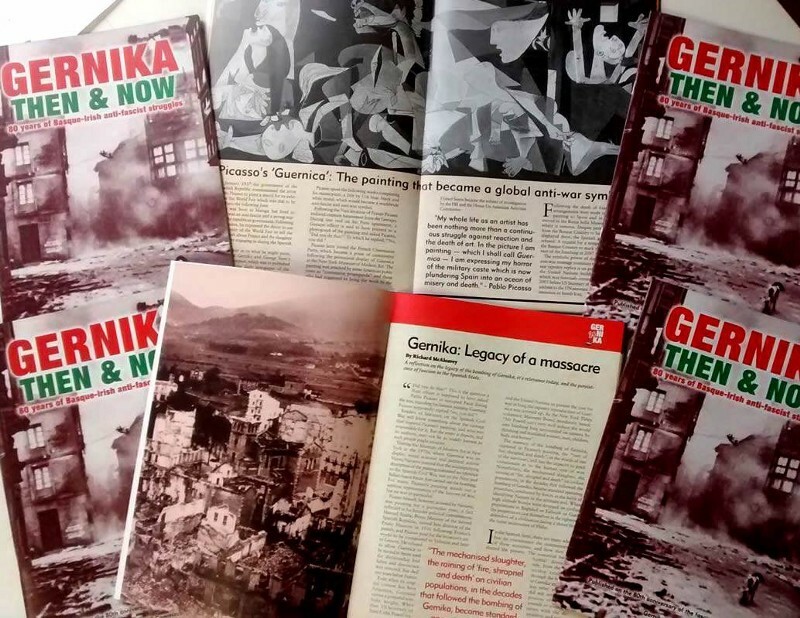 The IPSC was one of the sponsors of the events, which included the publication of a special commemorative magazine entitled “Gernika 80 – Then and Now: 80 Years of Basque-Irish anti fascist struggles”. We are offering a limited number of these collectors’ magazines for sale. The 40-page commemorative magazine includes articles on the history of the bombing and of its legacy, the story of Basque refugees, in particular the Gallastegi family from Bilbao who settled in Ireland after the bombing. It also covers politics in Ireland of the 1930s and the fight against fascism here, as well as the visit of Basque priest Ramon Laborda in 1937 to tell the Irish people of the suffering of the Basques and to counter pro fascist propaganda. There is the untold story of Jack Prendergast — the only known Irish person to fight with the Basque Army against Franco’s fascists and an article on the murky underworld of the Catholic far right in Ireland. The magazine also features an interview with Basque trade union activist and feminist Marian Verde who tells her experiences of the dark days of the Franco dictatorship and of repression in the post Franco era. Finally, there are short pieces on Pablo Picasso’s Guernica, the Astra Centre, the Tree of Gernika, and art and Gernika. You can read more about the Gernika 80 project here. 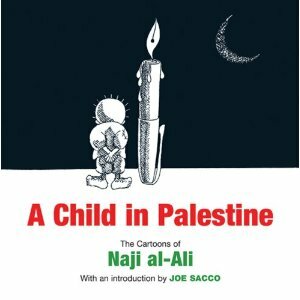 The first collection by the leading Palestinian political cartoonist, introduced by Joe Sacco, the author of the groundbreaking graphic novel Palestine.